Christmas is so so soon and I haven't baked any Christmas cookies yet. Not even my beloved vanilla crescents. Today I tried something new. 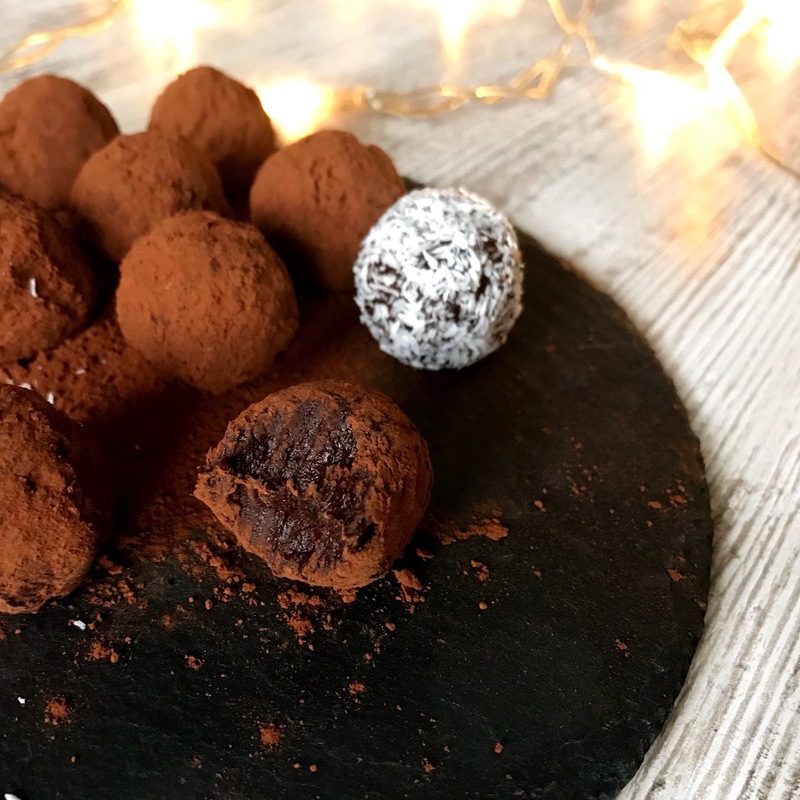 Raw vegan rum truffles. Oh yeah. Sweet treats spiced up with rum I brought back home from Cuba. The classic truffle is made with chocolate, eggs and butter... I've got a vegan friendly recipe for you and I'm sure you gonna love it! Ready to get your fingers sticky & chocolatey? 1. Add all ingredients to a high speed blender or food processor until you have a smooth and sticky "batter".2. 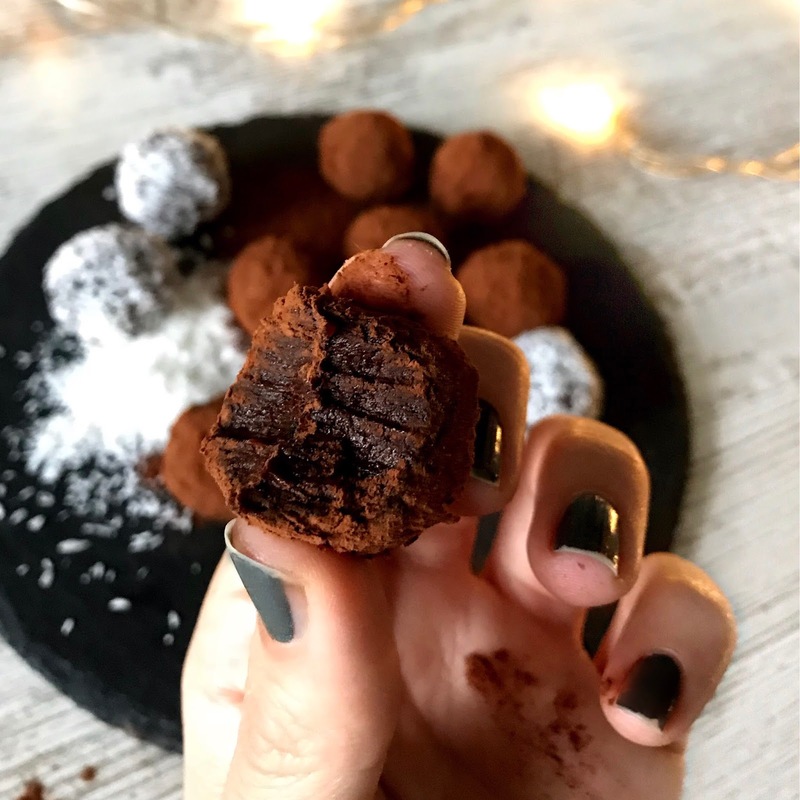 Roll the mixture in the palms of your hands and form truffles.3. 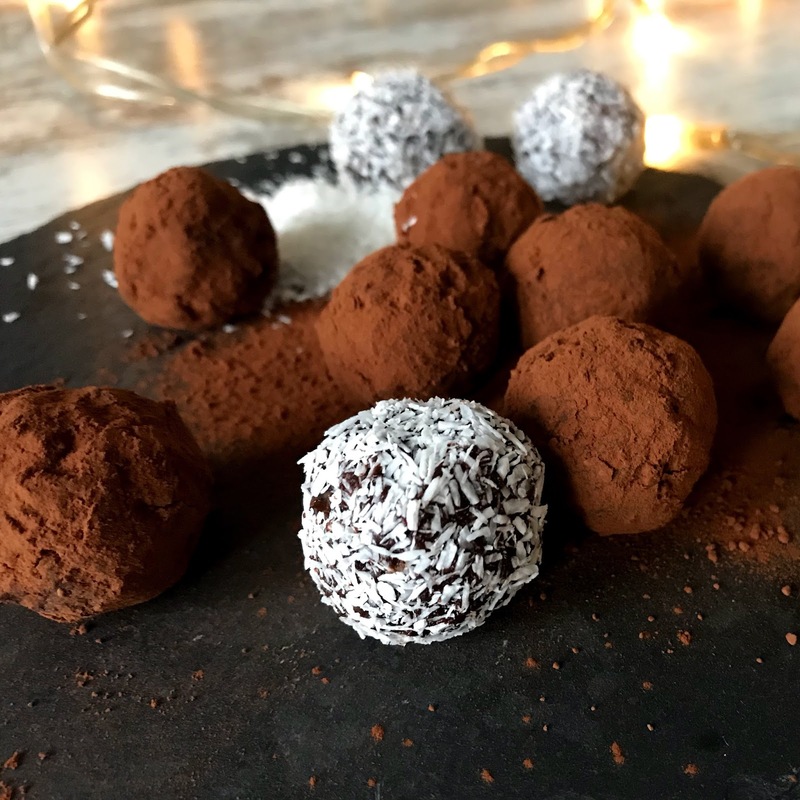 Roll the truffles in raw cacao powder and coconut flakes. Voilà!